PrivateVPN is a Sweden-based VPN service known for its high connection speeds, solid security configuration, and stable connections with uninterrupted VPN services (24 hours a day – guaranteed). All this is packed in reasonably priced subscription plans. If you’re having concerns about your online privacy and security and don’t want to leave anything to chance, read our detailed PrivateVPN review to learn how this service can enhance your online experience and protect you from malicious third-party influences. PrivateVPN’s UI is pretty straightforward and easy-to-use, which makes it ideal for VPN beginners and individuals who are not particularly interested in technicalities. After signing in with your email and password, you’ll gain access to the PrivateVPN client. At the very bottom, you’ll see information about the current version and the log out/advanced settings buttons. The main screen allows you to pick any of the available server locations from a drop-down list and connect to it by clicking/tapping the corresponding button. In the top-left corner, there is a button that allows you to contact live customer support. PrivateVPN performed admirably during our testing phase and although not the fastest VPN we’ve ever tested, it offers great speed, especially considering its low prices. We also didn’t experience any speed drops or sudden disconnects. The entire experience was as seamless as it gets. On top of this, we were also able to access Netflix US and BBC iPlayer, which makes this VPN a perfect solution for dedicated streamers. Finally, we didn’t detect any DNS/WebRTC/IPv6 leaks, so potential subscribers have nothing to worry about when it comes to their privacy. PrivateVPN currently offers user-friendly and intuitive VPN apps for Windows (7, 8, 8.1, and 10), Mac, iOS (version 9.0 and up), and Android (4.0 and up). If you need any help with installing the apps, you can always download relevant support guides or use the company’s remote help option. Alternatively, you can contact the support team via the live chat or fill out the provided contact form. PrivateVPN currently features more than 80 server locations spread across 56 countries. All servers feature unlimited speeds and bandwidth – and you can switch between them as many times as you want. 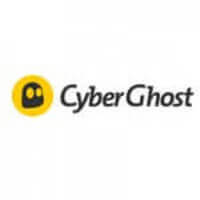 Some of the prominent server locations include the US, the UK, Switzerland, the Netherlands, Canada, Brazil, Japan, South Korea, Russia, and Singapore. The software allows subscribers to maintain up to 6 simultaneous connections, which is beyond impressive given the affordable price tags. This makes PrivateVPN an ideal solution for larger families with VPN requirements on a number of computers, tablets, phones, and other devices. Its strong security configuration will also allow you to protect your privacy and security when connected to unsecured public Wi-Fis. PrivateVPN purchases its Internet capacity directly from an IP transit provider, unlike many other VPN providers that purchase it from hosting companies. This allows it to avoid multiple routing hops, higher latency, and lowered speeds. Make sure you check the server list on the official website to identify and connect to the HQN (high-quality network) servers. PrivateVPN maintains a P2P-friendly policy, which means you can download torrents without fear of potential speed throttling. Note that the company recommends its servers in Sweden for torrenting. It also offers both shared and dynamic dedicated IPs. 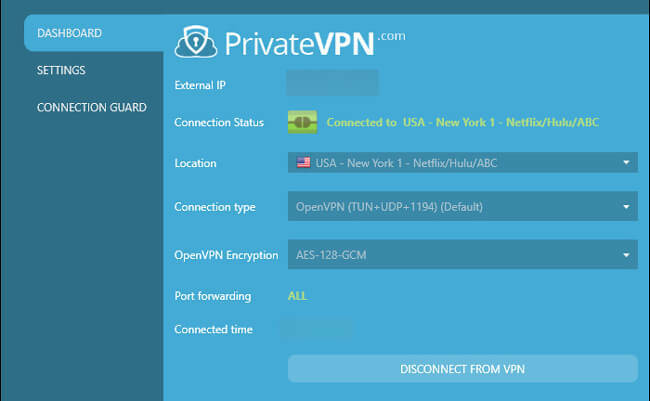 PrivateVPN supports a large number of connection protocols, including OpenVPN (UDP/TCP), PPTP, L2TP, IKEv2, HTTP Proxy, IPsec, and SOCKS5. Out of all these options, we would always recommend using the OpenVPN/UDP combination since it provides the best ratio of speed and security. We would definitely avoid PPTP and L2TP, but then again, you can only establish a connection in China through L2TP since the Great Firewall blocks all other ways to access PrivateVPN. When it comes to encryption, PrivateVPN uses AES-256 cipher, RSA-2048 handshake, and HMAC SHA-256 data authentication. Perfect Forward Secrecy is provided through 2048-bit DHE keys. The implemented killswitch feature is WFP-based and has two different layers of security: app kill and killswitch. Port forwarding is also supported, but you’ll probably have to contact user support in order to identify the optimal server(s) with all the necessary features. As we already mentioned in this PrivateVPN review, this is a Sweden-based company. Sweden does have data retention laws, which makes it less-than-ideal for VPN services. However, the company boasts a strict zero-logs policy, so it wouldn’t have any user data to hand over to the authorities even if asked. In fact, this already happened – and the company representatives told the authorities they had nothing. PrivateVPN remains in Sweden since it owns all the hardware in its data center and even controls the router. This makes us quite confident about the aforementioned zero-logs claim. PrivateVPN features a pretty generous FAQ section on the official website alongside numerous manual setup guides and other useful content. On top of this, you can always contact user support either by filling out the contact form or communicating through live chat. The support team is very forthcoming and friendly and will answer any potential questions you might have at any given moment. If you’re using the live chat feature, the response time should be under a minute. The company offers a risk-free 7-day free trial and a full 30-day money-back guarantee. When it comes to payment methods, it accepts credit cards (MasterCard, VISA, American Express, Discover, JCB, and Diners Club), PayPal, Stripe, Payson Direct Bank Transfer, and even Bitcoin. As for the free trial, note that you have to contact the support team at support@privatevpn.com in order to get a free gift code. The trial time starts the moment you register your account. Also, if you refer a friend, you’ll get points you can use to buy free days of service. As we wrap up this PrivateVPN review, here’s a quick overview of the features that wowed us and the aspects of the service that could use some improvement. Our ratings are the result of an objective and independent evaluation of PrivateVPN , generating the final rating that reflects the overall quality of the company. Ratings may change as the service changes. PrivateVPN user rating based on 2 user reviews. We found 0 verified PrivateVPN discounts for April, 2019. There are no PrivateVPN coupons or discounts right now.